Discussion in 'New to FP?' started by hazeldig, Jan 30, 2019. Hi, I'm Hazel. I am here to promote my brand new website Retro Insomnia, and to participate in an existing community. 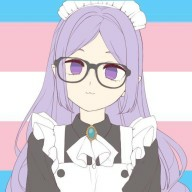 I am 17 years old, transgender female. Feel free to throw any questions that you like. Welcome to FP, I hope you find this community as friendly as I did when I first joined 10 years ago. Welcome to Forum Promotion! What's your pronoun, if you don't mind me asking? I wouldn't want to get it wrong. Hey Hazel! It’s great to meet you. Welcome to Forum Promotion. If you need assistance with anything, please let me know. Welcome to the FP community! Heya @hazeldig, welcome aboard! Best of luck promoting your community! Catch you around. Welcome to the forum, have a great stay! Welcome to FP, Hazel! Hope you enjoy your stay here.